Bayonetta will be available on PSN, Sega has announced. Sony has been putting a lot of games on PSN lately which makes it convenient to play digital releases. Bayonetta is an interesting one considering how poor the port was on the PS3, but I did manage to finish the game and found it to be a decent port. The game is directed by Hideki Kamiya, and features a sultry siren with long legs, doing some incredible moves and taking out her opponents. The game will be priced at $19.99 and will be available on January 29th and in Europe on January 30th for £11.99/€14.99/AU$23.95. 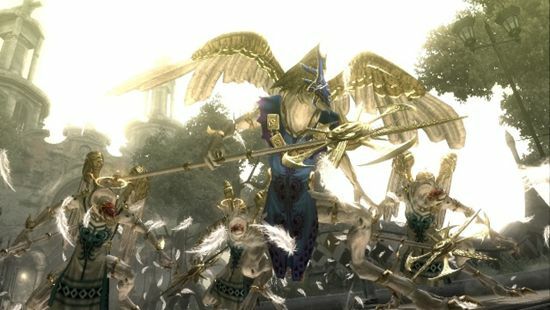 The game contains magnificent over-the-top action taking place in stages that are a veritable theme park of exciting attractions, Bayonetta pushes the limits of the action genre, bringing to life its fast-paced, dynamic climax combat.